They take some statistics then make it sound awful! 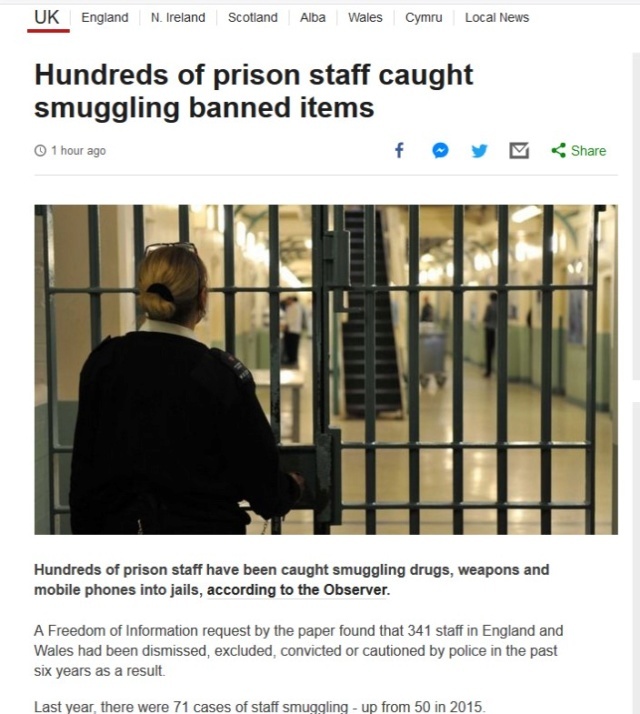 So, above the headline is HUNDREDS OF PRISON STAFF SMUGGLING STUFF IN TO JAILS. My natural inclination is to think "Wow, hundreds in the last six months or year!" But no, it's 341 in the last 6 years! I do hate it when websites do this sort of thing. FAKE NEWS! Ahhh! It's all about sensationalism and click bait. I do not read news online. On occasion I watch the local news and stay away from any Network News although I like Charles Gibson on ABC but it has been so long since I watched I don't even know if he is still on there or not. CNN, Yahoo, MSNBC, CBS, and ABC have all been busted for manufacturing news and twisting details. Fox probably does, but you won't hear most conservatives fuss about it when it backs their views. Actually, there's nothing fake about it. Hundreds (300+) of prison personnel have been caught bringing contraband into a jail. They did not mention a timeframe in the title. Yeah, that was my point too. It's not fake, it's sensationalized. The news sites make money either through subscription or ads and their ad money comes from people clicking on stories. In this case, it worked. Yeah alldat, quality journalism has given way to ratings and being the first with a story, so many major outlets (including Fox) have fabricated details if not whole stories. I have more and more trouble trusting headlines. It takes multiple reports on the same subject to get an idea of what's actually going on. I refuse to click on clickbait, unless there's a good reason to. Normally I only read the local paper and watch the local news. 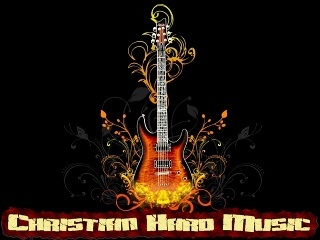 No talking heads for me although Robin Meade is easy on the eyes on Headline News. I appreciate the folks on FB who take the time to read the article and then post in the comments what the actual story was. Prime example is how they're covering the whole Kavanaugh nightmare. No Due Process, no evidence, but they're crucifying him and his family in the news. This is today's news. This whole thing is laying the groundwork for a very dangerous future for everyone. Scary... seems we're powerless against the New Rule-Makers eh ? Oh let's not pretend that conservative news sources and politicians are any different. There's nothing new under the sun, and this is no different. News media are businesses and businesses exist to make money. They make money by getting viewers/readers/clicks/reposts/retweets. Sensationalismgets those things. Doing stories that appeal to their viewership/readership get them as well, and since we live in an age where discussing the issues boils down to posting and reposting news stories and memes that "prove" our point rather than critically evaluating what we hear and read, it pays to do it. We, as a people, are complicit in this. They give us what we ask for. If more people started critically evaluating the information we consume, I believe we'd see a shift in reporting. Unfortunately, most people are more interested in winning than being right. Take the Kavanaugh thing. As soon as word of the accusations came out, liberals immediately believed he was guilty, conservatives immediately believed she was lying. No one had actually heard a bit of information or evidence, but they were positive they were right. Those people watched the hearing not attempting to find the truth, but to find ways to prove they we right. People started posting about all the money she was getting from a book deal, about how this was revenge for Kavanaugh's mother ruling against her family in a foreclosure suit, about how their own experiences "prove" that Kavanaugh is lying.... As soon as it was over, both of those sides had links from news sites citing professionals in body language, again "proving" the other one is lying. We don't want the Truth, we want to be on the winning side. And we have our trump card (no pun intended) of yelling "fake news" at anything that doesn't support our point of view. The fact of the matter is sometimes the truth is hard to find, sometimes the truth only looks like truth because its what we want to see. Really looking for the truth takes persistence and courage, and sometimes it means we have to look at our own dishonest motivations in all of it. Oh I wasn't claiming that conservative news sources or politicians are necessarily any better, though I must say The Daily Wire has been pretty good about their coverage of it and have encouraged finding the truth. But yeah, overall it's the sensational and emotional stuff that gets the clicks which gets the money... And as you said, that just further encourages people to try to "win" instead of get to the bottom of it. The trouble in this specific scenario though is that the accusers (this case, the left) have much less to lose. The accused's (and his family's) life is already completely turned upside-down over something that may or may not have happened. And regardless of whose side he's on, he should be counted as innocent until proven guilty. I think many of the conservatives who are fighting against these accusations may be fighting for that baseline of innocence until proven guilty, not necessarily a blanketed innocence. However, the left is giving the benefit of the doubt to the accuser which is wrong on many levels. That's fine if they believe her, but as you said, they need to get the facts to prove it - and the burden lies there, not on the accused to prove his innocence. At least, that's how it works in our court systems. This is a bit different since it's not an actual court trial - which in itself is a red flag, but that's a whole other can of worms. I think many of the conservatives who are fighting against these accusations may be fighting for that baseline of innocence until proven guilty, not necessarily a blanketed innocence. That is EXACTLY what the conservative base is fighting for. We are innocent until proven guilty. This isn't about us just marching lock step with Trump. Many conservatives voted for him with a bad taste in their mouths just to keep Shillary Rotten Clinton out of the Oval Office. Fortunately, Trump is daily adding things to his DONE list that conservatives support. We still may not love him like the left did Obummer, but the Trumpster is growing on us! Unfortunately true for a lot of things.